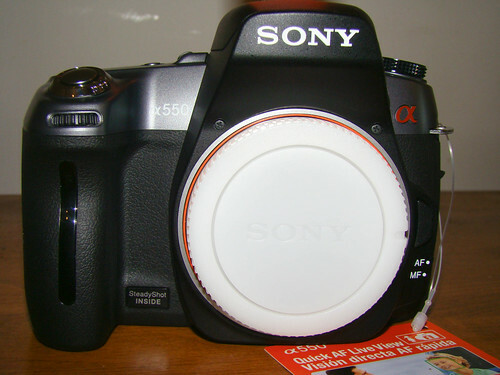 Nature Magnified: Sony A550 – initial impressions – Part I.
Sony A550 – initial impressions – Part I. 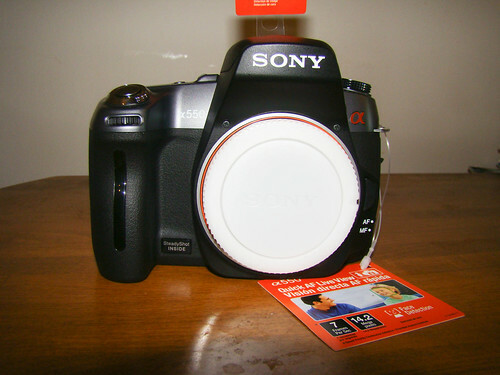 Like I said earlier, I’ve taken the jump and upgraded my camera body from the A200 to the Sony A550. I went for the cheapest deal I could find anywhere on the internet and found a good deal on RGB Photo ltd. Body only for £519. 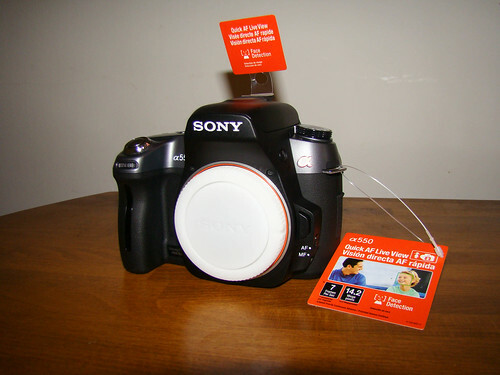 It helped that The Sony A200 sold on the same day. I must say RGB was very nice to deal with and they packed and shipped the item in a day. What didnt work for me though was Parcelforce delivery. I waited all day but they never came, and when i tracked the parcel, it said that they had attempted delivery! What a lie! Anyway, after running back and forth between the post office and home I finally have the camera, and as I write this, the battery is charging. Meanwhile here are my first impressions. Firstly, Sony has replaced the cover with a white one. I prefer the black one though, not that it matters much at all. The body itself is a two tone body, with an upper grey part and the rest being black. A lot of people hate this, but frankly, it doesn’t matter either (although it does give it a plasticy feel). The body feels slightly larger than the A200. but not much heavier. In fact it feels lighter, but that must be my light headedness from getting a new camera! 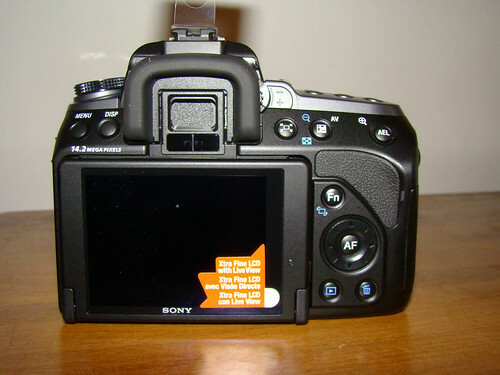 The LCD is supposed to be a 3 inch xtra fine LCD. I dont know about the quality yet, but it feels almost a litte smaller to me, perhaps its just the way its built. It does jut out of the body by a centimeter. 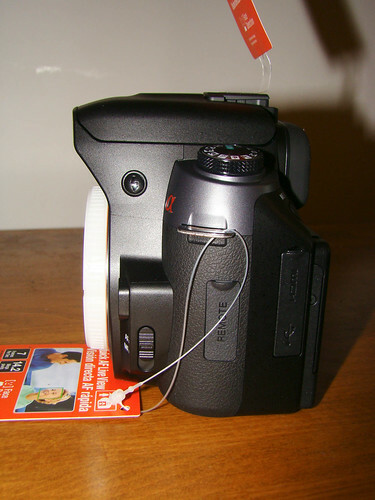 I`ll have to see how it impacts on the viewfinder and hoe close it allows my eye to get. The photo above shows how much it juts out of the body. 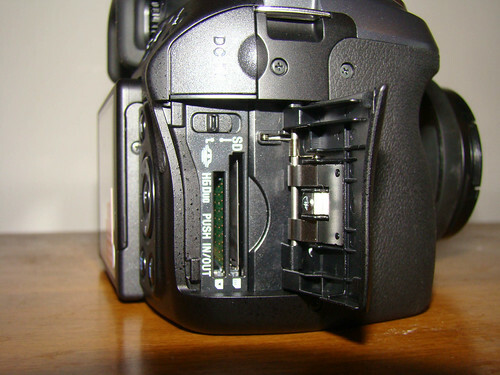 Also shown is the memory card storage area. 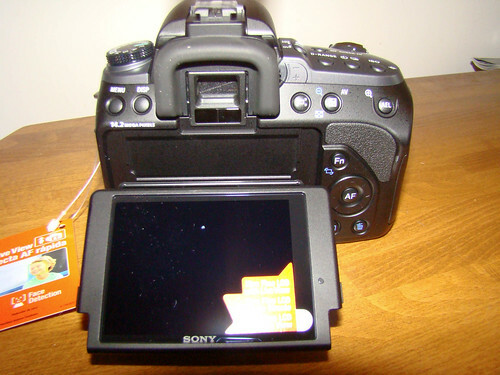 The A550 wont take CF cards, but instead uses either SD or Memory stick Pro Duo cards. 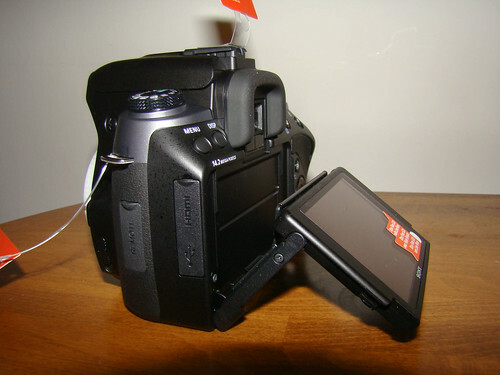 The LCD screen itself is tiltable 2 ways and can face 90 degrees either up or down. An invaluable feature to use with live view and macro photography. On the other side is HDMI and USB output and a remote input plugs. 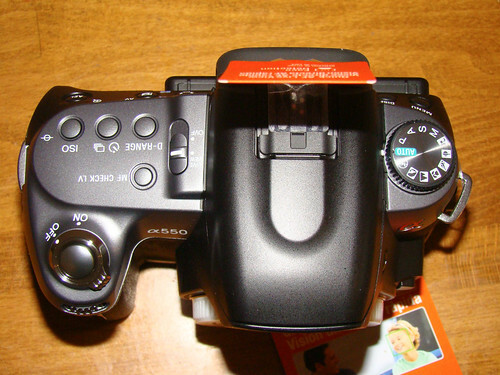 As you can see, there are quite a few changes to the button positions and more buttons than the A200 itself. 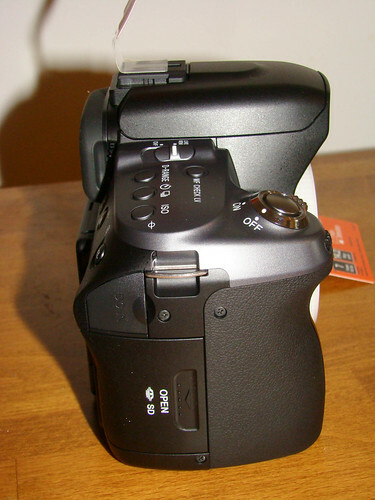 Most notable among them are the change in the “on” “off” switch which has been integrated with the shutter button. 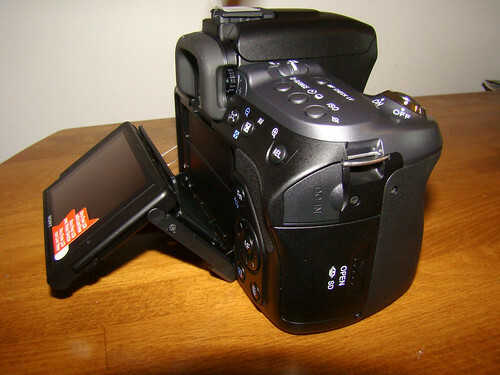 Instead there are dedicated buttons for ISO, D-range, Liveview/viewfinder slider, and for Manual focus check live view. Cant wait to use them! Thats it for now, gotta go test the camera functioning.